Dance Church Maui provides a safe all-ages dance floor to stretch, move, and groove. 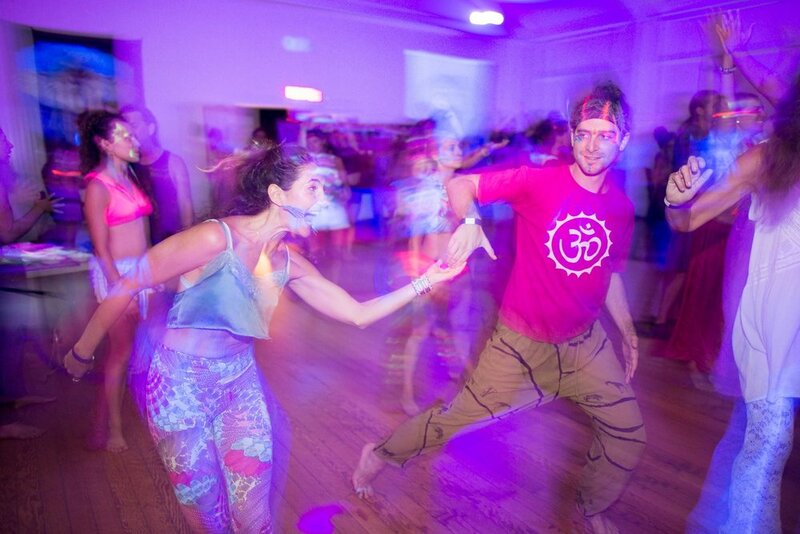 It is our belief that by opening our hearts and expressing our unique intentions and prayers through dance, we can grow both individually and collectively. We gather at the Makawao Union Church Community Hall, usually on the 1st and 3rd Saturdays of the month from 7:30pm to 10:30pm. We book both local and international known DJs and Producers across a wide range of bass-heavy musical genres. In keeping with Makawao Union Church rules, and to honor the presence of children, this is a substance free event. We respectfully ask that you help us honor our rental agreement to the Makawao Union Church by not bringing alcohol or drugs onto church property. Please participate in our events while sober. Dance Church Maui shares no affiliation with any church or religion. A group of volunteers and dancers have dedicated their time and energy to keeping this event going strong since 2012. We're grateful for the opportunity we've had to keep this conscious dance event alive and evolving. Sometimes it's difficult to break through blocked energy in our lives. To this we say, "Bring it!" Through dance, we've seen and felt the breakthroughs and releases that lead to personal transformation. And we crave it. Please do not talk on the dance floor. Chatting outside the dance hall is much better. Be respectful of people's space when dancing. Check-in with them before initiating contact dance. Thank them if they decline with a smile. If they accept be aware of people dancing around you. Use your awareness to help keep everyone safe. DCM starts with 30 minutes of guided movement with our DJs playing music to warm up the dance floor. Guided movement can come in the forms of: Buti Yoga, Vinyasa Flow, Qi Gong, and Guided Dance Instruction. We proceed into a 1 hour dance set by our opening DJ, which is followed by a 1.5 hour dance set by our headlining DJ. 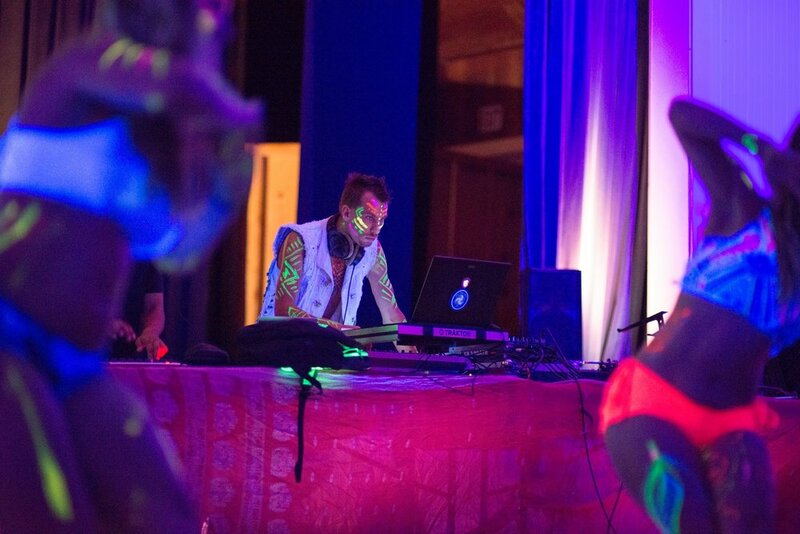 For some events, we may have only one DJ playing a 3 hour set, covering a variety of electronic dance music genres. Our events depend on volunteers to transform a 100+ year old church community hall into a dance temple fit for elevated dance expressions. 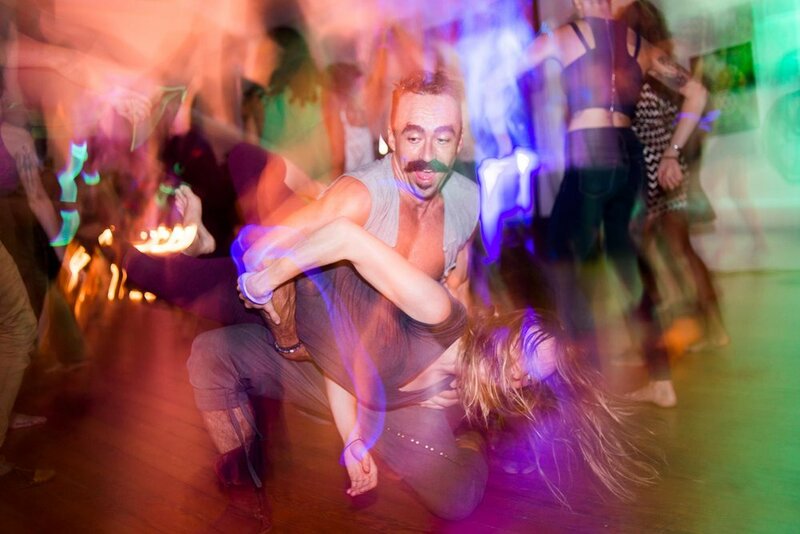 Lights, altars and art transform the hall into a dance sanctuary. We close by thanking our DJs, gathering in a circle and listening to an acoustic heart-song shared by a member of our community. In this closing circle people may share their thoughts or make announcements of upcoming events or offerings. This is where the magic and creativity of our DJs shine. 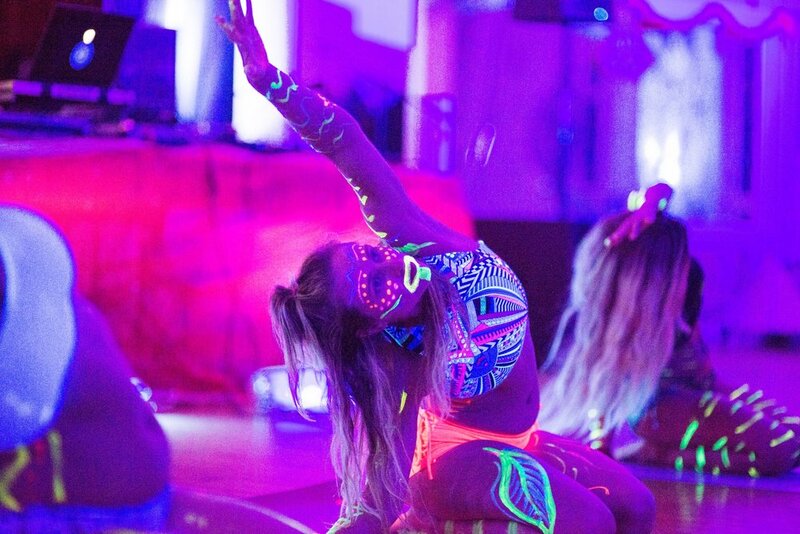 Dance Church Maui pays homage to the art of djing by booking professional DJs and Music Producers. We honor their talents by promoting them the way nightclubs and festivals do. We are proud to feature some of the finest electronic dance music producers and DJs from Maui and from across the world. David Starfire is a world-renowned producer/composer/multi-instrumentalist/DJ that is best known for blending world music with electronic music and his epic remixes. He reached #7 on the iTunes world music chart. Festival highlights include WMC, Coachella, Shambhala, Envision, Outside Lands, Symbiosis, Wakarusa and Lightning in a Bottle. Plantrae roams the forests and detritus of modernity, crafting earthy beat music clearly evocative of its NW origin. Energetic and serenely beautiful, Plantrae’s sound threads a path between acoustic instrumentation, and exhilarating electronic production. Live viola at every show brings an undercurrent of indelible warmth to an already lush palette. The music of AtYyA (Tyy Clark) features deep alluring basslines, mesmerizing percussive grooves, heart touching melodies, vast ethereal atmospheres, & raw sounds from our earth. The primary intention of the music of AtYyA is to connect the recipient to the feeling of profound happiness, boundless love, and ecstatic celebration for the gift of life we all share.